MDC-M president Welshman Ncube: "the party would be fair-minded in dealing with issues"
MDC-M president Welshman Ncube on Tuesday declared he was now the principal of the party and would soon be "drinking tea" beside President Robert Mugabe and Prime Minister Morgan Tsvangirai in the inclusive government. Although he said Deputy Prime Minister Arthur Mutambara would remain in his position in government, "unless the party chooses otherwise", Ncube declared that as the leader of his party, he would deal with all issues to do with principals in the Global Political Agreement (GPA). "Being Deputy Prime Minister does not necessarily mean that one remains a principal," said Ncube. "Principals are principals and they are the leaders of the parties. That means that the principals that we now have are (President) Mugabe, (PM) Tsvangirai and Welshman Ncube." Ncube said as DPM, Mutambara would be carrying out functions related to the government while he (Ncube) would be in charge of party business. "This is the norm all over the world. In some countries you even have a president plucking a technocrat to be a prime minister," he said. "Even here (in Zimbabwe), at one time we had Nkosana Moyo (in 2000) taken from outside political party structures so that he could implement an industrial policy agreed by government. The DPM will therefore deal with specific issues in government." Ncube rose unchallenged to the helm of the MDC-M at the party's national congress at the weekend after securing the nomination of 12 provinces. He took over from Mutambara, whom he invited to lead the party after the split of the united MDC in 2005 over participation in senate polls called for by the powers-that-be then. Mutambara pulled out of the presidential race a few weeks before the congress, but by then, it had become crystal clear that he would not retain the top post. As a principal, Ncube said he would strive to ensure that the three parties who signed the GPA honoured the pact. He said he would also work towards creating an environment where free and fair elections could be held. Ncube said he was a different person from Mutambara and would handle issues differently from his predecessor although the party's policies would remain the same. Mutambara was widely seen as being too close to President Mugabe although he often said he was the voice of reason among the principals. "We are different persons," said Ncube. "We have different personalities and a different temperament. There are lots of areas where we are different, but the party's policies will remain the same. There will, however, be a shift in style." 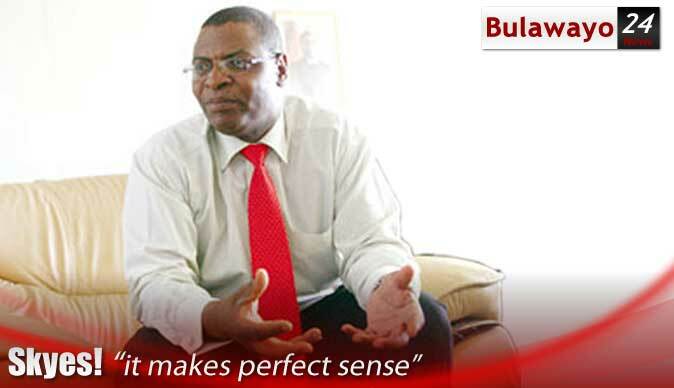 Ncube said his party held the balance of power in the GPA since neither MDC-T nor Zanu PF had an absolute majority. He said the party would use that strength to ensure that only productive policies were pursued by the government. He said the party would be fair-minded in dealing with issues and not merely side with one political party.